Last Tuesday was one of the saddest days I have ever spent as a journalist when covering the helicopter crash in the Zaleski State Forest. It was a bitterly cold day, and it was emotional to hear of such a tragedy taking place. The three victims were not county citizens, but many brave first-responders, who do reside in the county and Jackson County, were there and spent a cold day looking for the wreckage and bodies. …I want to offer a “Tip of the Hat” to all the first responders out there and the Lake Hope State Park staff for hosting as a police command center and being helpful to all the media representatives. They let me use their business phone twice, and I thank them. Godspeed to all those involved. 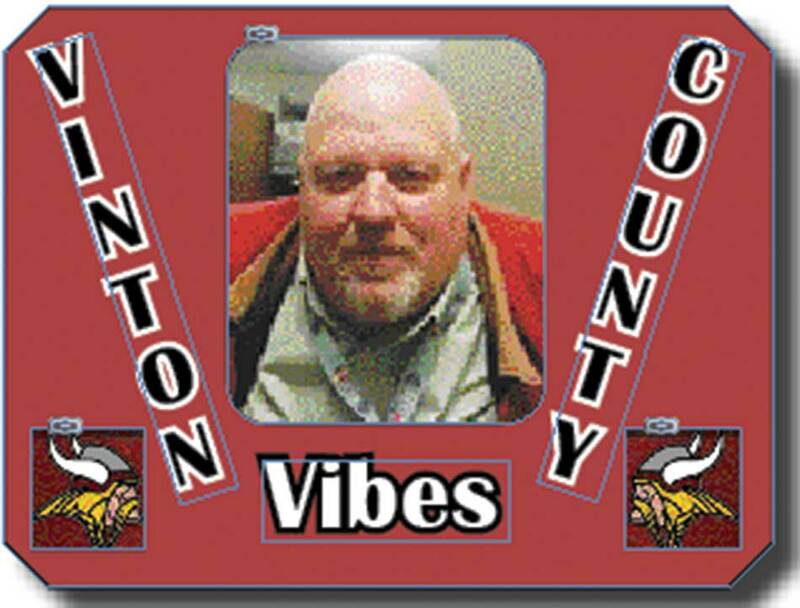 …It has been a rough time for the Ohio Department of Transportation and Vinton County and township road crews. For them, heavy snow is easier to deal with than the recent bitter-cold situation with the underlying ice on roadways. The salt does not work very well when the temperatures are really low and it is tough to keep the roads in good condition. The Vinton County Local Schools were also closed, and some warming centers were opened. It has also been a tough time for mail carriers, delivery people, police officers and all those who must be outdoors. Hopefully, the citizens can remember them by offering them a cup of coffee or a hot drink when it gets cold -- and it will again. It looks like some better weather is on the way this weekend and next week, but the winter is a long way from coming to a bitter end. …The cold weather has played havoc with social activities and county business. The annual Chamber of Commerce Dinner had to be postposed, and this year’s honorees will include two of Vinton County’s newest businesses, Campbell’s Market and Dettwiller True Value Hardware. The banquet had been set for last Wednesday night at the Vinton County High School Cafetorium. When it is rescheduled, major awards being presented will include the Community Spirit Award: St. Francis Outreach Center, for providing food and school supplies to local families in need; Persons of the Year: Jeff and Nicki Martin, for their operation of The Bronzer Tanning Salon, Lil Vikes Daycare and the Weeping Willow Clothing Store; and Businesses of the Year: Campbell’s Market and Dettwiller True Value Hardware, both for making large investments in the county. The Chamber wants to thank the Campbell family for ending a 4-1/2-year “food desert” situation; and Dettwiller’s has been a welcome addition to supply the county’s hardware after the long-time Standard Hardware operation closed. …While the weather is cold, the Lady Vikings basketball team continues its hot season with a 15-0 mark. The team is currently driving toward a Tri-Conference Ohio Division Title and hopefully more in the post-season. Key conference games remain though. The post-season is coming up and all the action will be covered on our two Total Media platforms, The Radio and The Telegram will follow them. The games can be heard both on WYRO 98.7 FM and the Mixlr stream on the Internet. (It was just two years ago that the Vikings boys team had a 24-3 and a great tournament run!) Remember to tell your friends who live outside the area or state, they can sign up for The Telegram’s E-edition or an e-edition/print edition combo. We are as close as your mailbox or computer screen. …It should be an exciting year in Vinton County as the big solar-plant construction project gets under way near Zaleski. The facility, owned by the Invenergy Company of Chicago, will have approximately 450 people on the construction crews and will build the mass project on a 2,200-acre tract with the end product being the clean, renewable energy. Those construction workers should boost the local economy as they will be spending money at county businesses. …We are still waiting on the news of when the new University of Rio Grande Community College Center will be built in the Cherry Hill Development on U.S. Route 50 in west McArthur. It is hoped with the coming of the center, and perhaps several new businesses, a third lane will be added to U.S. Route 50 in the vicinity of the Vinton County High School and Middle School buildings. …There are a lot of developing local news stories that we will be watching: The Hamden Water situation; honoring some upcoming achievement stories involving local high school students; the forthcoming spring sports season; and the 2019 Vinton County Wild Turkey Festival, coming up in May. Of course, the solar-plant groundbreaking is sure to happen sometime this year and there will be much more happening as well.